To view 2 more pictures, interactive maps and the full, detailed description of the Cornerstone community, please Login. 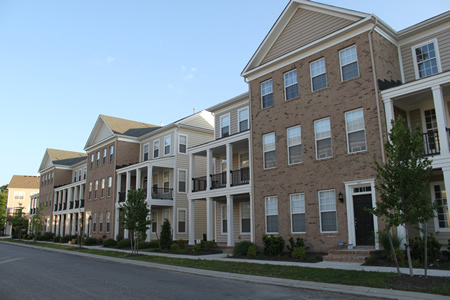 A condo in Cornerstone is prime Virginia Beach real estate. New construction and charm are blended together for one low-maintenance result. Homebuyers can easily commute to area military bases like NAS Oceana, Joint Expeditionary Base Little Creek-Fort Story and NOB. After hours, there is plenty to do with dining and entertainment just around the corner. This real estate compound is something to take notice of. New construction may come and go but homes built of quality materials will stay. Each condo at Cornerstone comes with one or two-car garage, landscaped front yard, sod in front and back yards, custom Armstrong kitchen cabinetry, nine-foot ceilings, custom created closets and much more. These three-story units range in size depending upon the model but go all the way up to 2,200 square feet. One of the nicest things about living in a condo is the lifestyle. It is great knowing you’re getting not only new construction but amenities as well in this real estate development. Residents at Cornerstone can swim laps in the well-maintained pool, party in the cabana with friends, take the kids to the playground and enjoy the manicured landscaping throughout the complex. Deciding where to live in Hampton Roads can be challenging. Virginia Beach, VA, is a great solution for those wondering where to plant roots. This area of new construction is located close to expressways, Norfolk International Airport and the Hampton Roads Transit system so getting around is a breeze. Enjoy a night out at Virginia Beach Town Center. Catch an early flick at Regal Columbus Cinemas, grab drinks and appetizers at McCormick’s and Schmick’s renowned seafood restaurant then snag a seat for the late show at Funny Bone Comedy Club and Restaurant. Homeowners who want everything the city has to offer need look no further. Owning a piece of this real estate is like getting a ticket to adventure in Virginia. Leave the doldrums behind and take a look at a condo in Cornerstone. Send me more information about the Cornerstone new home community.